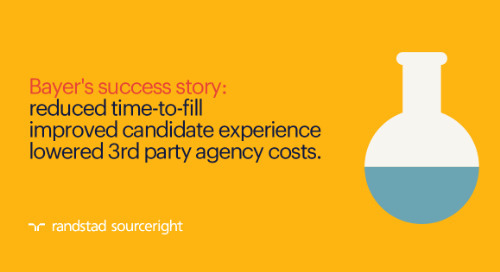 FMS case study: sourcing and engaging freelancers through MSP. 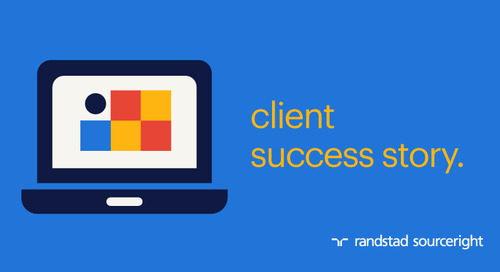 Home » case studies » FMS case study: source and engage freelancers through MSP. As more individuals seek the flexibility of contract work, and more companies seek contingent talent to fill key gaps and supplement important projects, freelance arrangements are on the rise. 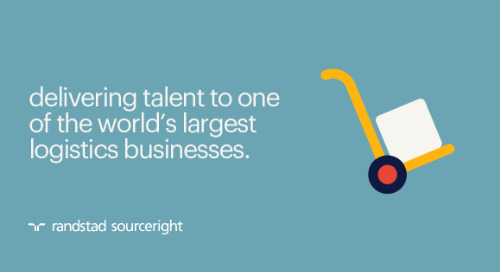 As a leading multinational technology company experienced, however, sourcing and managing those freelancers can require a great deal of resources and time – not only in recruiting and onboarding, but also ensuring compliance. So how can an organization develop lasting relationships with its freelance talent network, given these challenges? Using a freelance management system (FMS), this industry leader is building reliable talent pools of qualified freelancers, ready to step into project work as soon as they’re needed. 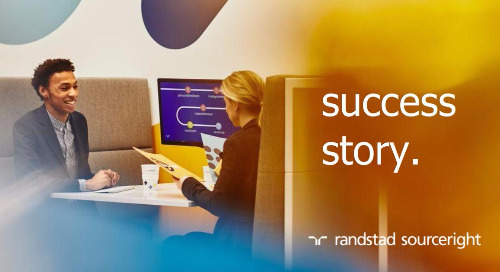 Partnering with Randstad Sourceright to oversee the FMS through its managed services program (MSP), the company attracts the qualified freelance talent it needs now, while maintaining relationships for the future. With the implementation of its FMS, the company has created 12 talent pools spanning different job functions that hiring managers can turn to when they need to fill immediate talent gaps. 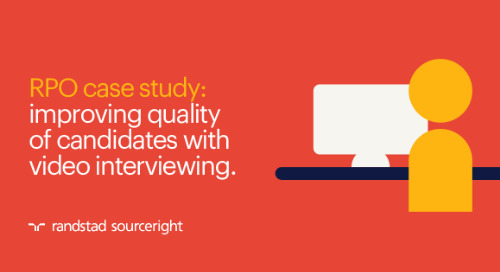 Since these workers are already pre-qualified, they can be identified and deployed much faster than sourcing them through traditional methods. 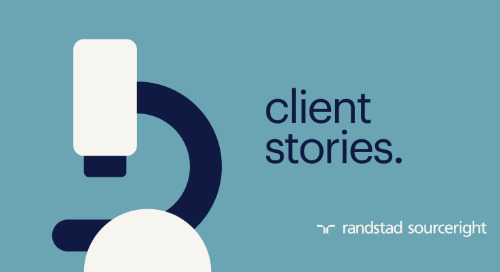 A new channel for identifying and hiring freelancers, supported by social media campaigns, has resulted in a 350% increase in the number of freelancers in the company’s talent pools in the Netherlands. This new channel supports the company’s larger holistic view on work. 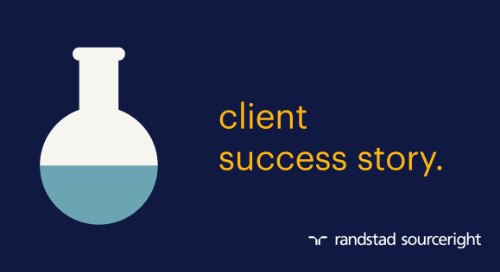 Since implementing its freelance management strategy, the company’s use of the system has increased exponentially each month, while driving increased savings. Between January and October 2018, the company’s cost savings have grown by 3% due to the FMS. 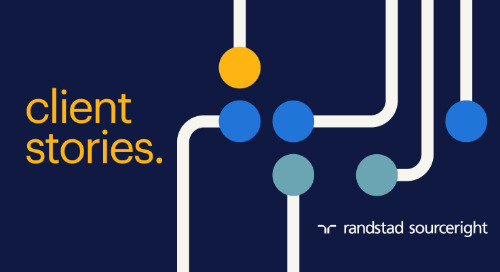 Preparing its talent acquisition strategy for the workforce of the future, this multinational technology company recognizes the value of building relationships with all types of talent to advance its goals. As a result, it sought to expand and accelerate its freelancer management strategy. “In the workforce of the future, people will be more mobile among different types of work arrangements, and we should not make the channel of engagement the deciding factor in how we work with them,” explains the organization’s head of total workforce management. Drawing on the organization’s best practices for engaging permanent talent, and building upon existing employee value proposition (EVP) themes, the company’s talent leaders began working on an assignment value proposition (AVP) for contingent talent. 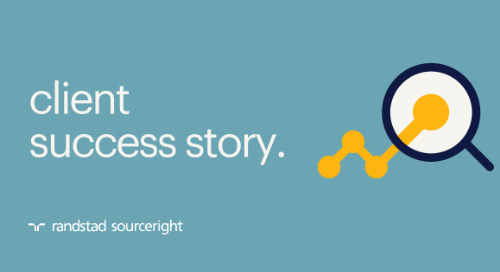 Complex compliance requirements and a limited supply chain pose challenges to sourcing freelance talent quickly and effectively, so the company also wanted to implement FMS technology in select geographies. FMS technology gives companies the opportunity to directly source and engage with freelance talent to overcome some of those challenges. 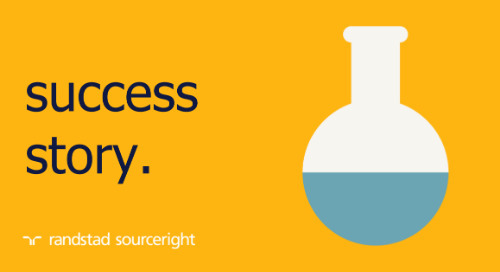 Building and maintaining viable talent pools, however, can be time- and resource-intensive. And, that’s only the start. An effective FMS also requires that the necessary back office functions are in place — from accounting for different freelance regulations across locations to ensure the invoicing structure is set up correctly. 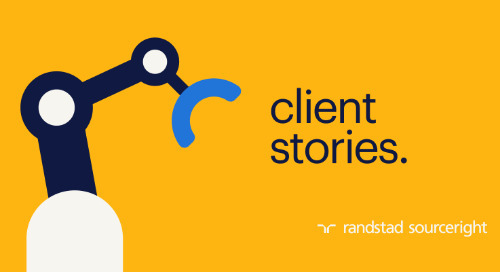 The technology company tapped the expertise of its managed service provider, Randstad Sourceright, to launch its FMS program in the Netherlands. Building the talent communities of pre-vetted, qualified freelancers involves identifying and curating talent, while providing an experience that maintains the company’s highly effective employer brand. Through the FMS solution, when a freelancer is interested in opportunities with the company, they apply for a specific talent pool based on the role type directly from the company’s career page. 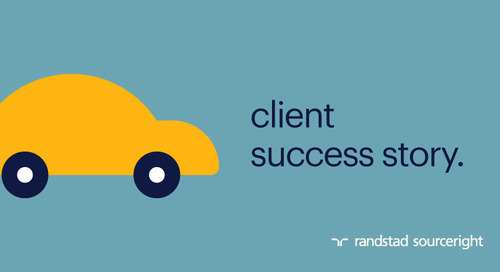 Each freelancer is reviewed and screened by Randstad Sourceright and the FMS team to ensure they are properly qualified. Meanwhile, we also work with the company’s hiring managers to ensure requisitions are suitable for freelancers – and in line with compliance considerations. Social media campaigns drive additional traffic to the talent pools, helping the company reach more freelancers and further grow these communities. Since implementing the freelance management strategy in January 2018, the program and the freelancer community have grown rapidly. 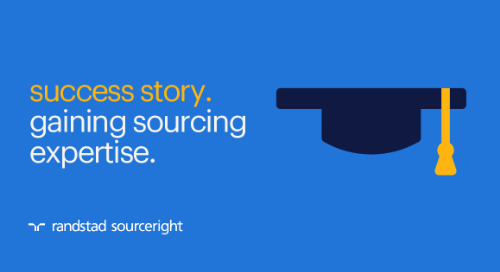 While the previous strategy of sourcing freelancers from suppliers was time-consuming and costly, this model delivers talent while supporting the company’s vision for a more agile, holistic workforce strategy. 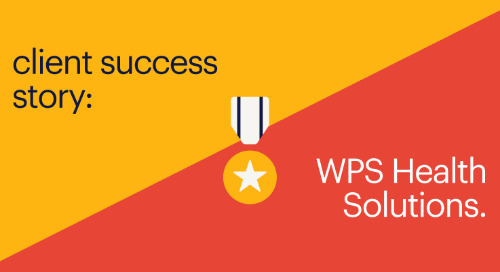 Having its FMS included with the MSP ensures a high level of talent quality. 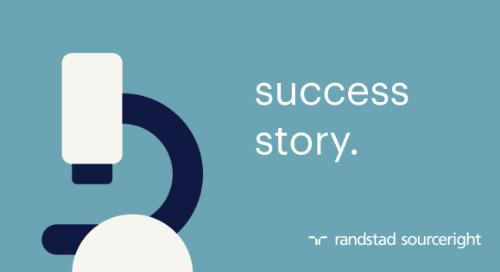 Since Randstad Sourceright vets all potential talent, the company can be confident that its talent pools are filled with qualified freelancers. The talent pools also allow the company to redeploy freelance talent who are already familiar with the organization and its expectations. This is especially useful for short assignments, since many suppliers won’t take on these types of assignments. 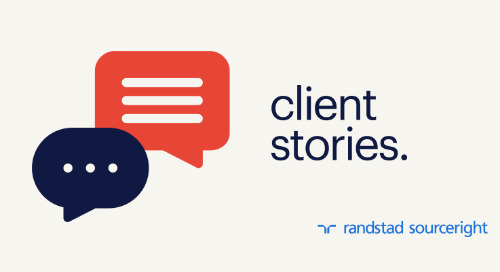 “By working with Randstad Sourceright, we’re building talent pools of freelancers who are interested in working on assignments with us, and that we are interested in working with. These pools are curated for the right quality and fit criteria across various roles and segments. As a result, we can manage and search the pools as a proactive way to find potential freelancers much faster. And, freelancers can find relevant assignments themselves,” says the company’s head of total workforce management.